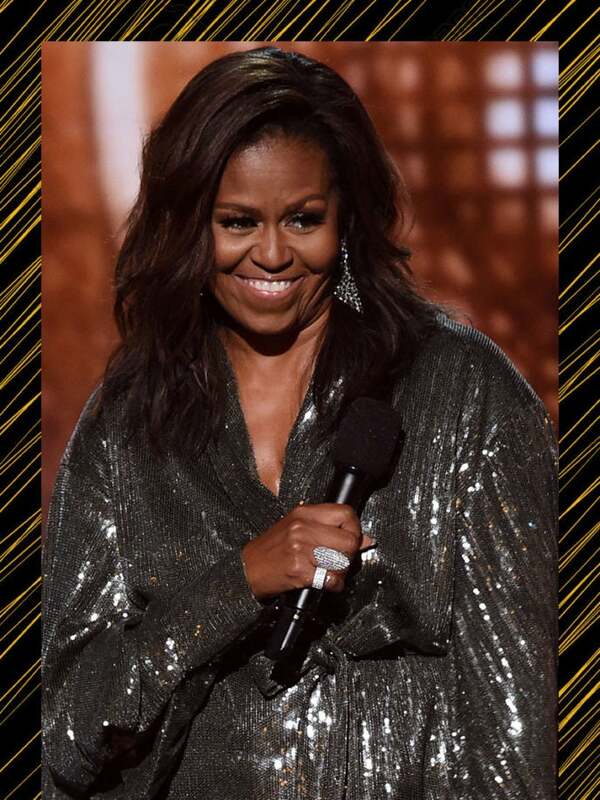 Michelle Obama surprised and warmed our hearts as she stepped on the stage of the 61st Annual Grammy Awards in support of close friend Alicia Keys hosting the event. The former First Lady of the United States’ appearance captivated us not just because we’re constantly mesmerized by her presence but her beauty and chic style caught our attention as well. 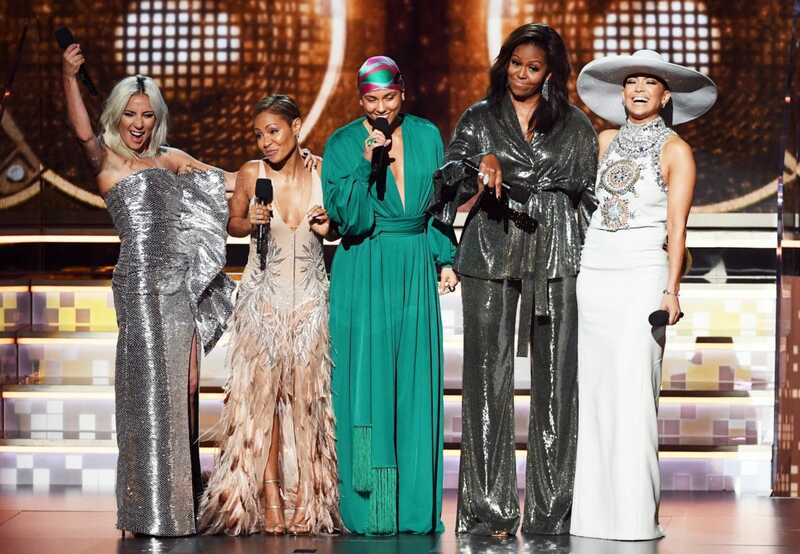 Mrs. Obama stepped on stage alongside Keys, Jada Pinket-Smith, Lady Gaga, and Jennifer Lopez. The fashionable Becoming author continues to keep us captivated with her intelligence and style. Obama wore a custom Sachin & Babi olive sequines pant suit to celerbate the 2019 Grammy Awards.